One of my readers was gracious enough to share his experience. I am sure all of us are juggling between ensuring we save enough, have enough to spend, bring up our kids and living a good life. So does my reader. This is not an account of some above average income guy or gal with not much dependents who can sock away a huge amount of their income to reach financial independence. This is an example of a family struggling to make tough choices, trying to fulfil many life goals in Singapore like many in their position. I am sure we want to reach a state of financial independence but also raise 2 children and have one spouse stay at home. How does one family attempts to plan for it? My reader and his wife is 36 years old, which is not far from my age. He currently works as an business analyst in the finance sector. They have 2 kids who are 6 and 4 years old respectively. So this would mean the wife gave birth to the first child at 30 years old and 32 years old. They separate their wealth building just like a lot of couples do, she doing her own saving and he does his own investing. He starting being serious about financial planning at the age of 30 years old when his first child was about to be born. His current portfolio is $200,000 and his wife’s $220,000. His wealth building style is more income yield focused, with a target of 5% return per annum. The target for both portfolio at age 40 is to hit $300,000 in value each. This does not sound very unachievable until you realize that their plan is for the wife to quit working next year. So this would mean that the portfolios will have to grow by 5% dividend contributions alone. The eventual goal is to reach $1,000,000 EACH at age 65 years old, which is 29 years away. Rather than the example that I provided of above average middle income earners, my reader and the wife started off with the income of typical university graduates. However, they climbed well along the way to achieve above middle income wages. It is useless if you earn more but cannot put them away as wealth. His savings rate is around 30% of earned income and for her 20%. My reader and his wife’s decision to allow one spouse to stop working do not come lightly. They felt that a stay at home spouse can provide better care, education and attention to the children. They hope that this will push a better education for their kids, in the hope that they are good at their studies and have a better local university education. They didn’t get to this point without conflicts. I felt he is lucky in that his wife’s views on money, in a large part, is in alignment with his. So she is able to save on her own. Why this is big is that, research seem to have shown that, for some reason, couples with differing money values attract to each other. His initial plan was to lean towards a age 50 semi-retirement. Then he would take a lower income. That plan was conflicted when his wife brought up the idea of staying at home 2 years ago. He was quite against this idea because that would mean all the burden will fall on his shoulders. A bigger worry would be that they might not be able to retire comfortably. At this stage, he felt that the wife did not consider fully the ramifications of one spouse staying at home. Her wife would also have to overcome her insecurities of changing from an above average income earner to one taking an allowance. At this point, I was rather impressed by my readers planning. That wasn’t in question. However, turning his planning into a form of persuasion to make tweaks to their spending and lifestyle leaves me dumbfounded. Even before at the early stage of planning, he has already plan for his family and parents in the event of his demised. The death cover and his investments should be able to last his family of 3 until they graduate from university. For the parents, it will be an allowance to them for the rest of their income with other siblings contribution in mind. Try to reduce ways of doing household chores for her like buying a dryer. This is so that she is not treated as a stay at home maid. After all this, I present them to my wife. I figured we need to have the same mind-set and set the objectives for this plan. We are doing this so that she can raise the kids, educate them and ensure their study foundation years are strong. I also got to tell her the sacrifices that we will make. While running through all the projections, she can feedback if anything is missed out. We will work for another 15 years longer and cannot take a breather to change to a less demanding job. She can only take a break of 10 years after which she has to re-join the workforce. She has to plan for the kind of work she can take on after that. We can’t travel as frequently as we do now. We have 1 short and 1 long vacation every year, this has to go. We should be grateful if I can cough up a long vacation every other year. 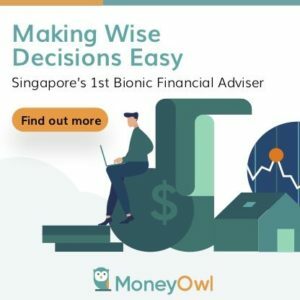 My reader mentions that when they are able to see that taking these possible steps can match up to their immediate values better, she is more participative in the financial planning. After the planning work that my reader has done, there really isn’t much I can value add. For sure there is a question of whether $1 million each is enough, whether 5% per annum is a conservative estimate, those are up in the air. As long as he chose to continue to home his competency in his wealth building method, making good decisions, financial independence knowledge, insurance protection, sustainable living, I am sure he would find his own answers. If it is easier to ease in, perhaps taking one year simulating living on one person’s income, while the wife is still working would be good. This will be like an adjustment year to see if financially it does work out like the actual plan. The benefits is that money wise, you get 2 times the boost. The wife is not living off the husband’s income for one year, while she is contributing for one more year. This amount will add on to the emergency fund or wealth building fund to enhance their goals and safety. I wish I get more accounts like this but in reality these are the rare few examples showing really competent DIY Life Planning. Don’t have too much excuses. If you don’t think and reflect and write them out, the dream will remain a dream. I have to thank my reader for allowing me to share, so that every one can learn from his family’s experience. Let me know what you think. I’ll be worried about the risk involved in having one person earning all the income for the family. Usually we can take 1 or 2 hits, if the hits did not come together. We downplay the risk of having all the possible risks coming together ALL AT ONCE, no matter how independent the events seem to be. A totally foreseeable event could be a massive crash in the economy, triggered once again by the finance sector, so the sole breadwinner will lose his job, his passive income from investments will take a hit in both capital wise and income wise, and one of his close relatives/family are sick. Can he take that multiple-prong hit? Not saying it can’t be done, but it will involve some sacrifices. Can’t have your cake and eat it too, I guess. There is a psychological phenomenon called negativity bias, which one example is that we can think of negative events happening more easily than positive ones (and that’s the mechanism which insurance companies strive on). The chances of what you proposed happening is maybe about 1%?? Hence let’s not think negatively about this family, especially when they appear to have thought carefully, and have taken necessary steps to increase their emergency funds. There are many intangible and also possibly tangible benefits of a sole breadwinner family i.e. more attention can be spent on the children’s daily needs, studies and well-being, and also on the husband when the wife learns to cook dishes and the family spends cosy dinner time together at home can far outweigh the sacrifices made by both parents, and the reduction in family saving rates. Money is not the most important commodity in life; family, love, and time are. On a side note, I am surprised that after two days of this post, there is only one comment. It shows that the vocal readers of this blog seem to be eligible bachelors or are not having children yet. I do not have much comments on the actions of this family, but their decision to be a sole breadwinner family is completely justified, especially since one of their children is entering primary school soon. I will just add a suggestion that there are many jobs out there for stay-at-home mums, and if the mother has time to spare, why not considering these jobs e.g. translation, teaching tuition (in your own home) etc. How did you work out the probability of such events happening to be 0.01? I’m not so good at estimating probability, and so in the face of such uncertainties, I’ll rather look at the effects such events can have on me. So while the prob of such events are unknown, the consequences are certainly known to me, hence I will do what I can to alleviate the consequences. I’m not saying what he did is a bad or good thing, it really depends on how he handles the downside should such events, no matter how rarely you think it is, happens. All I know is that he is making his own situation more fragile. I like your suggestion that the mother find some stay-at-home job. This will remove some of the bad effects of him being the sole breadwinner in a finance industry with his passive income based also on financial assets. There are some successful cases of mother who stayed at home to be tutors, or child carers, and ended up contributing significantly to the financial health of the household. If we were to assess, do you agree this family is at least evaluating in a more thorough manner than majority of the family wishing to take up this route? Yes I agree. But so what? The risks are still there. Its still up to him to mitigate them. Again, I want to point out that I’m not against it. im not sure but the folks that i work with supported 2 children on a combined 6k income, if the husband earns 6k then with these planning it should do ok. I would think that the couple can only make do with more modest financial goals. As long as they are disciplined in reducing expenses and increasing income, the risks they are taking will not be significant. Opps I missed out on the ‘2 million retirement goal’. I think that the couple may need to calibrate their financial goals to being more realistic. 2 million retirement goal seems more likely for a bachelor or a couple without any children. Sorry for being too slip shod with the probability estimate. The 1% was an arbitrary number, my main point being more of that the probability of these events happening simultaneously is extremely small. I cannot deny the dire consequences of such events happening to the family. Yet, the family appears well-prepared for such emergencies i.e. raising insurance coverage, increasing emergency funds. I disagree that he is making his situation more fragile, when it is not fragile in the first place. In fact, at the end of 30+ something when both parents have worked for several years, they have a saving nests. How is that fragile compared to many young parents in their 20s? Hey Jomel, you have to rub it in to the folks without children haha! I wonder if its a prevalent culture for stay at home mum to take up jobs for them. Hi Kyith. It was more of a tongue in the cheek comment on the reader demographics of your blog =P life is easier to control and money easier to save before children arrive at your doorstep. Does that mean in the past when our parents can be sole breadwinner is because the stakes were lower or that its easier to find back a job? Income relative to expenses is relatively high. And income level for woman is lower too. Not much loss in income even if the wife stops working. These days it’s hard to find sole breadwinner family, unless the person earns a fairly high income. But that will iincrease the risk even more, wouldn’t it? i must say, 36 yrs old with 2 kids with a joint commitment, i think it is highly commendable and not heard of in most families. but i think Mr LP is right to commend on the risks, the wife shouldnt stop working all together. Thanks DS, u seem to indicate this joint commitment is a rarity. Alternatively, the wife can consider to arrange to work on part time basis in the current company. When are children have grown up or in secondary school, she can go back to full time. My wife did that for my elder child for 5 yrs before moving back to full time. Few of my close friends did that too. But can be challenging for wife while pay cut 50% but not the work load. Thanks for sharing ! I always thought its challenging but doable. My previous project manager and now department Head is like this. She stayed home to tend to the kids and when they are bigger get back to work. When she came I knew she is too qualified. Taught me much stuff and a top performer will always be recognized. Do u know what jobs stay at home mom usually do? It is a social enterprise set up by a local mother that connects companies to mothers who want to have a better work life balance, either home jobs or part time jobs, or even starting a business! Thanks for the link. i will check it out. i may get the folks to talk about what they are trying to do to bring more awareness as well. It is really commendable that at 36 yrs old this couple have figured out their family financial plans. My husband and I are in our late 40s and we only started to understand this a few years ago. So kudos to them. We have 2 teenagers. When they were little ( and we were in our 30s like this couple ), it was a struggle to attend to them and have a full time job at the same time. Having domestic helper, childcare / student care helped, but it was still a stressful period. Now that they are late teens, it is really much easier. Looking after young kids is a full time job. To also have to work is really a double burden. Guys should try doing it themselves before suggesting the wife takes on a part time/ full time job while looking after young kids. It is very possible when the kids are older teenagers. Being retrenched is very common in Singapore. My friend’s husband was retrenched twice, and herself once. So having an emergency fund is absolutely important. This couple’s goal is very achievable. The husband’s income is likely to rise as he gets more senior. Controlling expenses and expectations would be key. Best wishes to them. thanks for the sharing. Being single, I would never have say i fully understand how much it takes, but as i grow older and have more peers with children, I understand why the lament that a lot of the wives wanted to stop working.One of these will get you down,and the stress level will be much higher. I am not sure about retrenchment since its not very prevalent on the 25-35 level from what i experienced ( i admit this is not a good reflection). Is it more prevalent when we are in our mid to late 40s? hi Sebastian, I do not purchase these products. What sort of feedback are you looking for? They can be wide ranging. It seems these are legacy planning savings products.